Calgary Therapist: Bow Valley Counselling - Therapist T2N 3R7. Send A Message To Bow Valley. Hi! 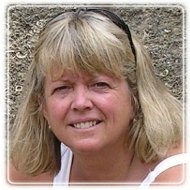 I am Carol Daw, the owner of Bow Valley Counselling and Mediation. It is very important to me to provide an environment where people feel safe, listened to, and respected. Many clients have told me how helpful our work together has been and say that they appreciate how easy I am to talk to and trust. Clients have expressed feeling tremendous relief from the negative effects of trauma, and express appreciation for the support and guidance I have provided during transitions, difficult times or periods of low self-worth. Couples have appreciated their new perspectives on their relationship and what it takes to improve a relationship and achieve the intimacy that most people crave. I hope that I can help you to achieve your goals! I am a clinical social worker with a great deal of counselling experience. I have helped to train many other social workers and psychologists during the course of my career. I enjoy being able to apply my knowledge and skills to really help people to reach their goals and feel better about themselves and their relationships. I am proud to say that I have worked in Calgary for over 30 years helping individuals, couples and families to improve how they feel about themselves and their interactions. I provide a comfy office where people can relax in safety and tell their story. We work together to decide upon what needs improvement, and how to achieve those goals. I have two undergraduate degrees, in Sociology and Social Work, as well as a Masters level education in Clinical Social Work and Counselling. In addition, I have a great deal of post-graduate training in a variety of counselling methods, (such as Cognitive- Behavioural Therapy, ACT Therapy, Narrative Therapy, Solution-Focused Therapy, Emotion-Focused Therapy, and Psychodrama, to name a few), as well as family and divorce mediation. I have additional credentials as a Certified EMDR Therapist and I have taken Gottman Marital Therapy training. And I continue to take training and I grow and learn each and every year.